Big Tobacco is losing a lot of money. If money talks, the vaping industry is screaming at the top of its lungs, with a megaphone, on top of a mountain, speakers set at 11. Meanwhile, Big Tobacco members continue to turn down their hearing aids. Considered an upstart the past five-plus years, vaping companies have consistently talked their way into the mainstream conversation. Five of the world’s largest tobacco companies combined to lose £100 billion in revenue during 2018, according to dailymail.co.uk. That’s $126.3 billion in American dollars and cents. And, for anyone who has been close attention to the meteoric rise of vaping, it makes sense. A series of studies have recently released data that says, health-wise, vaping is less risky. And long-time smokers of combustible cigarettes discovered vaping can be a gateway – to quitting. + British American Tobacco’s stock market value dropped by nearly 50 percent. + Altria and Phillip Morris, both American-based franchises, lost about 30 percent. + Imperial Brand lost about 25 percent. + Japan Tobacco lost about 20 percent. All of those franchises appear to be casualties of growing consumer trends favoring e-cigarettes, especially among teenagers and young adults. According to the Centers for Disease Control and Prevention (CDC), 38 percent of high school students attempted vaping during 2017-18. Health officials may be crying foul, but vaping is an attractive alternative to minors. Tobacco business may continue to suffer in the short and long term. The U.S. Food and Drug Administration (FDA) announced last November it is reviewing an option of an outright menthol ban, the dailymail.co.uk reported. That’s also the opinion of James Edwardes, an RBC analyst, who shared his thoughts with the Daily Telegraph recently: “The impact of the FDA’s menthol cigarette ban and margin erosion from the growth in next-generation products is priced in, although for this previously uber-defensive and predictable stock the future is very opaque,” Edwardes said. 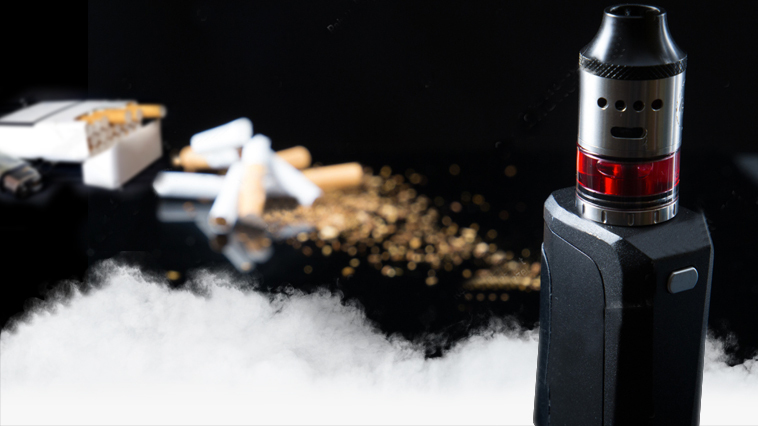 Public Health England (PHE) released a statement saying if traditional cigarette smokers fail to switch to vaping, it would be “tragic,” especially if their main reason centered on the “false fears” of vaping safety. Money may talk the loudest, but the PHE speaking of health should silence all doubters. News junkie? Be sure to check out our Vape News page!